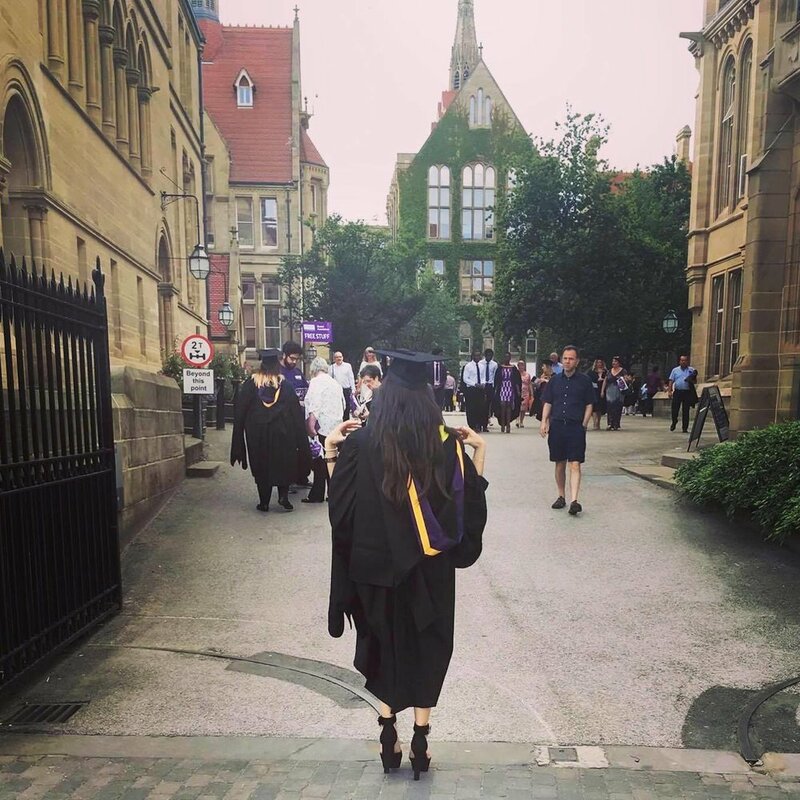 A year ago today I found out the unbelievably exciting news that I would be graduating from The University of Manchester with a First Class Honours Degree in English Language. It has been the greatest achievements of my life so far as I worked so hard to achieve it. For those of you who have been following my blog from the start you’ll know that university was not an easy experience for me. I was unhappy about quite a few things and I used my degree as my focus to keep my attention off of the things that were making me unhappy. By receiving my results I believed that something positive had come out of a difficult time in my life. Since graduating I have felt motivated to reach my career goal. I have interned at The Times, The Daily Mail and Women’s Health Magazine. Would I have obtained these opportunities without a First in English Language? Probably not. On paper my First makes me stand out. It shows that I am hardworking. However when it came to working in the media industry, grades and education didn’t seem important. Its not like you walk around telling everyone you have a First in your degree. Employers look for hardworking individuals, who are willing to learn. They look for qualities that are going to make you indispensable to their team irrespective of how highly educated you are. So do you really need a degree to be successful? In the modern world most people have a degree so it makes it difficult to stand out when applying for a job. In terms of choosing what to study I believe that if you are going into a profession that requires a qualification then of course a degree is going to help you achieve the role. However if you’re unsure, choosing a broad-base subject such as English can be useful. English has so many potential career directions. Whilst applying for jobs, the skill set that I have from both my degree and work experience has made me look at jobs I didn’t consider before obtaining my degree. Employers are looking for experience and lots of it. Experience gives you substance and immediately makes you more interesting compared to the other candidates. It shows that you are keen to learn and develop your skills. Anyway I can speculate as much as I want. I am 22, with an amazing degree and hoping to land my dream job this year. Degree or no degree, hard work will get you to where you need to be. Essentially it is down to each individual to do what feels right for them.